Learning how to code may be a bumpy road, but it’s definitely worth taking. With the right resources, tools and a clear goal, you can make it even easier. Now, let’s talk about how to do it. There is a good reason for the evergrowing number of people learning how to code. The beginnings, however, can get overwhelming and a lot of questions arise. Fret not, after having several years of experience and listening carefully to newbie developers across multiple events (I lead or attended), I picked the most nagging doubts and tried to put them to bed. 1. 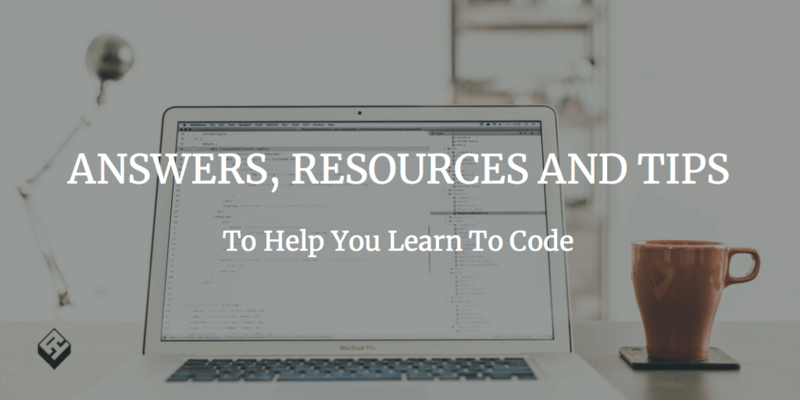 Where to find reliable, free tutorials to learn to code online? 2. Which programming language to choose? 3. What is the easiest language to learn? 4. How many languages should I know? 5. How much time does it take to become a good developer? 6. Should I get certified as a programmer? 7. Where can I find free help? 8. How to stay on the edge? 9. Should I develop in Open Source? 1. Where do I find reliable, free tutorials for learning how to code? Can I learn alone or do I need to finish a programming major? For me, MIT Courseware is a place to go. To learn the basics of HTML/CSS/JS you can also take a look at W3Schools but it can get a bit monotonous. Just be aware, self-study requires a lot of perseverance. And finishing an online course gives you only a section of knowledge required for working in the IT sector. Provided that you can successfully finish several of such courses, you may seek a job and learn further from more experienced colleagues. It’s the coding language most sought after in the job market. It’s useful both in frontend and backend. What programming languages are the most popular in software houses near you? What OS and devices do you want to code for? What language is the easiest one? Are you thrilled by the prospects of creating a responsive, innovative webpage or rather a bashful game? To choose a simple path, pick one where you don’t have to wander across sidepaths of your main road to glory. 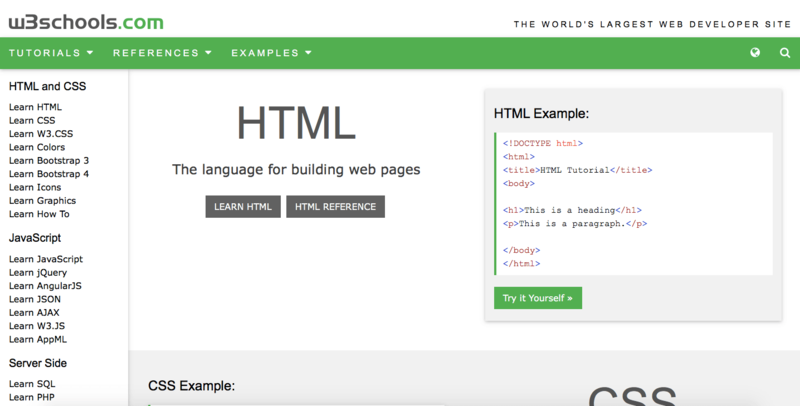 JS then becomes a no-no, as you need to simultaneously learn HTML, CSS and more. It’s better to start your adventure with strongly typed language; that rules out Python. What’s more, pick a free environment. The viable option then are C++ and Java, both pre-compilable, so they’re easy to debug. And trust me, you will put a lot of bugs in your code when learning (whoa, it’s not your fault! The bugs mean you are challenging yourself with something new!). From my best judgment, C++ tends not to be used commercially anymore, so I would recommend Java for your starting point. 4. How many languages should I know to land a job? Coding in what language(s) will make me earn the most money? Being a good programmer is not equal to knowing a plethora of different programming languages. On the other hand, however, If you can master one of them, you will easily get the hang of another. One is enough to be on a lookout for a job, but just knowing the language itself doesn’t necessarily mean you’re able to solve complex problems with it. When it comes to money, you can earn the most by mastering the less known languages (but, on the other hand, there are fewer textbooks and courses to study with, making the whole process cumbersome). That shouldn’t be your main focus though, it’s better to achieve the highest level possible in using one language (be it popular or not) than constantly switching between many you just have an inkling of. 5. How much time does it take to become a good developer? How will I know I’m good enough? You cannot be a good developer, especially a web developer, if you don’t constantly hone your skills. Technologies in use change on a daily basis, therefore the cost of falling behind is substantial, the most important one being a diminishing number of clients interested in working with us (an the outdated technology we provide). To do programming well you need to be on the market for approximately 2 years, as self-directed learning just won’t make the cut. 6. Should I get certified as a programmer? Which certificates are important? Certification is mostly important for people who have just entered the IT market and have no experience or formal education in computer science. Yet the skills you can verify hands-on, without an issued document, are more valuable. 7. Where can I find free help (when I get stuck)? Depending on the area where you live, you can probably find a lot of IT events in your neigbourhood. You can try searching Facebook or MeetUp first, or look at a bulleting board in coworking spaces, startup incubators and Technology Universities nearby. Our company organizes similar meetings and workshops almost every month. If you are stripped of access to such places, go straight to stackoverflow.com or even google.com and ask away! You can also try asking questions on websites like Stack Overflow or other communities for developers. 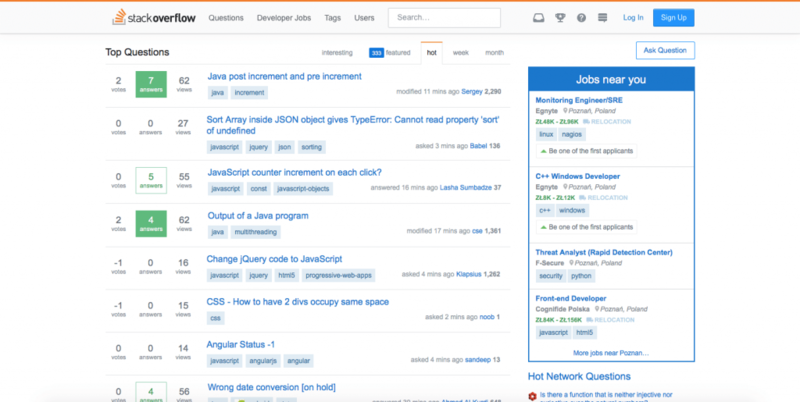 Browse questions on Stack Overflow to find solution to your problem. IT people are generally a really nice bunch, your question rather won’t go unanswered. 8. How to stay on the crest of the wave if new versions of programming languages are being developed every day? You have to like what you do. There’s no other way than to develop yourself, not only develop your code each day, 9-to-5. Have it in mind, when searching for a company to work with – pick one which will give you opportunities to learn something new, send you to conferences and has riveting devtalks. Open Source projects play a double role and may be a win-win solution. Firstly, posting your code publicly while you are still learning can be a great source of helpful feedback – and a snapshot of your skills at different moments in the past. Secondly, such projects can become a great portfolio you can take pride in – it earn recognition of our personal brand in the community and is a perfect addtion to any resume. To be up to date, I highly advice you to like our facebook page – you’ll always stay informed about places you can talk to Apptension developers. He’s a Frontend Developer with a license to teach. First one to volunteer when a workshop leader is needed, you can often come across him giving an upbeat lecture on an IT event. Breaking the IT crowd stereotype, he’s a sporty young man, playing soccer, volleyball and doing more push-ups than you. Do you want to start learning Python? In this post you'll find comprehensive summary about learning Python and how to do it right. How does one become a junior developer? Which skills are required to start a programming career? Our CTO shares his advice for all aspiring devs. BEM is a methodology that helps you create reusable and maintainable code. This article provides tips for developers who want to start following BEM.